An exciting show that offers something refreshingly evolutionary in the modern TV landscape. 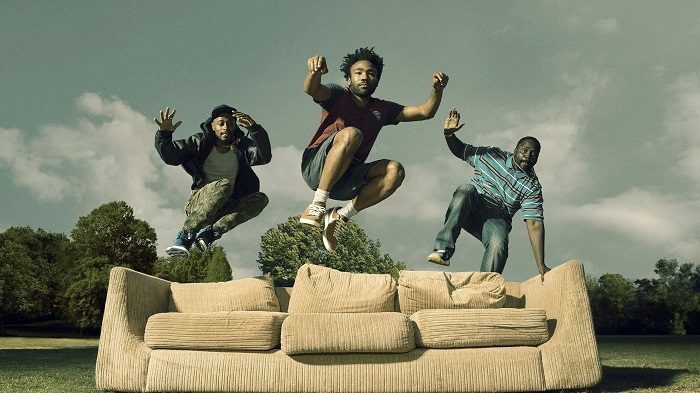 It is not necessary to know of creator/writer/director/star Donald Glover to appreciate comic drama Atlanta, but to really get into the flow of what the small town music scene-set show stems from, it helps to see the evolution of the brains behind it. Donald Glover broke through YouTube’s earlier days with sketch group Derrick Comedy, whose skits were culturally relevant yet completely silly, and their feature film, Mystery Team, which co-stars Parks & Recreation’s Aubrey Plaza, is a glorious movie full to the brim with gags. This led the young man to a writing gig on 30 Rock before he was 25. A few years later, he was cast on TV’s beloved Community, where his fame grew, and he began to break out as serious rapper Childish Gambino. Towards the end of the show’s run, he turned all focus to his music, and began to have a breakdown with the world of fame and the internet. Childish Gambino returned stronger than ever, and, soon after that, Glover’s Atlanta was announced. The expectation was high: his serious musical craft meeting the goofy sensibilities of his sketch background? What could Atlanta deliver? A very interesting breed of TV show, it turns out. Atlanta mixes serious focus with random, highly silly and very funny ideas. The series opens with a group of young African Americans in a car in a gas station, as another seems to be loudly harassing one of the men into an altercation. It’s all quite tense, and clearly Glover’s character, Earn, is out of his element here, but the hopes of a comedic twist disperse very quickly when Earn’s cousin and local rap star Paper Boi (Brian Tyree Henry, the show’s stand-out) pulls a firearm. Before the title comes, we hear the gun go off; within three minutes of the show beginning, we are in a darker world. Is Glover going to examine black culture in the modern age, the painful landscape presented by the media, the authorities and the way society has muted a lot of the progress to ease racial divides? Very much so, but Atlanta doesn’t see any point in beating you over the head with the obvious. These aren’t the stories and characters we’ve seen before. This, of course, isn’t Crash. Atlanta tells the story of Earn, a young father whose relationship with his baby’s mother is solid, although not completely exclusive. His life lacks finances or direction, but when Paper Boi finds some success through a track getting some online play, Earn sees opportunity and aims to manage his cousin to success. Atlanta then offers focus to Earn’s baby mama Van, to Paper Boi and his sweetly clueless friend, Darius, and the world created for the show, which has been referred to as a comedic Twin Peaks. This means some episodes don’t follow a traditional character arc; one is a glorious slice of the local black-centric public access channel, with some hysterical commercials and TV show snippets, while another is all about Earn trying to find a jacket and piecing together the night before, which is both wildly funny and painfully melancholic. Gorgeously shot, with great music drops throughout, the show could be Louie-like, or Master Of None-esque, yet feels entirely its own, unique thing, where Glover’s starring role doesn’t mean it’s all about him. 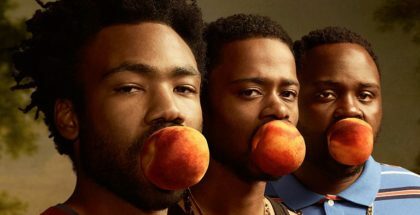 That plenty of characters get great laugh lines, nice emotional beats, and an episode to explore their worldview means Atlanta grows as the season chugs along, and has possibility for further expansion over the years. This is an exciting show, albeit one with growing pains, and it offers a heck of an opportunity for viewers seeking something refreshingly evolutionary in the modern TV landscape. Atlanta Season 1 and 2 are available on Sky Box Sets until 5th May 2019. Don’t have Sky? You can watch both Season 1 and 2 online through NOW TV, as part of a £7.99 monthly subscription, with no contract and a 7-day free trial. Where can I watch Atlanta online on pay-per-view VOD? Photo: Matthias Clamer / FX Networks. All Rights Reserved.